Eye strain is a common problem today. Prolonged exposure to books, computer screens and electronic devices can cause eye strain that may result in headaches, dry or watery eyes and eye irritation. To relieve eye strain, use clean fingers to gently massage the eyelids, the muscle above the eyebrows, the under-eyes and temples. 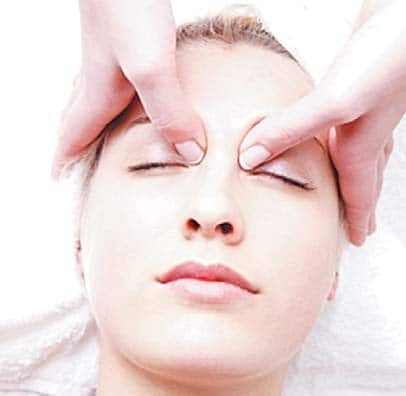 This helps increase blood circulation to the eyes and relaxes the muscles around your eyes. It also stimulates the tear glands, preventing dry eyes. You can use a few drops of olive oil, aloe vera gel or eye cream for a smoother massage. Sunning is a good way to start the day. Stand in front of a window or a place that receives plenty of sunlight. Close your eyes and allow the sunlight to warm your eyelids. Do this without your glasses or contact lenses. Sunlight helps the retina release dopamine, which helps in the healthy development of the eyes and prevents myopia in young children. Do not stare directly at the sun for this method. 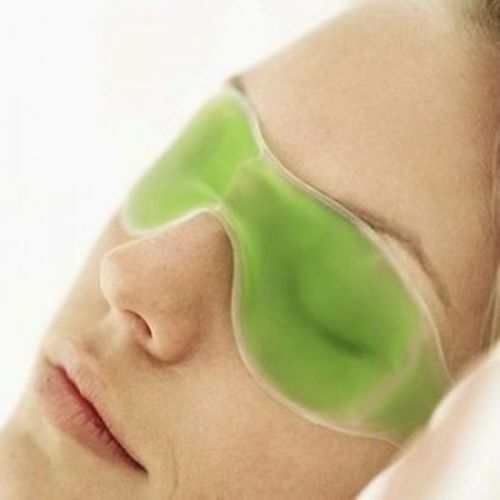 A warm compress is a great way to relax your eye muscles and relieve dry eyes after a long day of staring at computer screens and books. For this method, dip a soft, clean cloth into warm water (not hot!) and find a comfortable place to lie down. Close your eyes and place the warm cloth over your eyelids. Relax and take deep, relaxing breaths for 1 minute. Repeat this process at least three times. Cold water is effective in improving blood circulation and relaxing strained eyes. It is similar to the warm compress method except you dip a soft, clean cloth into cold water instead. If your eye strain has resulted in puffiness or swelling around the eye area, wrap a few ice cubes in a clean cloth and place it on your eyelids for 2 minutes. This cold compress will help decrease the puffiness. Apple cool aloe vera gel onto the strained eyes/eyelids and leave it on for at least 10 minutes. The aloe vera’s natural healing and soothing properties will help to lessen puffiness and helps increase blood circulation around the eye area. You can also use this as a lotion to massage your eyes as well. Combine these remedies with frequent breaks after 30 – 45 minutes of near work, an active lifestyle and a balanced diet for healthy, strain-free eyes. Next article7 Pictures of Anup Jalota & His Girlfriend That Will Make Every Single Guy Jealous!